Every week these charts show some new songs and some not so new songs but this week is pretty much all new songs (for radio releases anyway) with the Top 5 holding six new tracks (#5 is a tie). 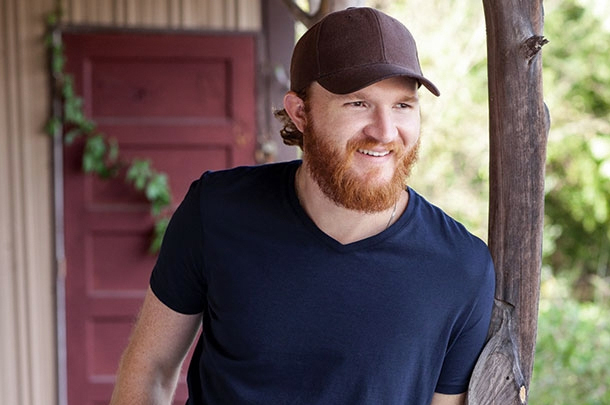 Eric Paslay's off to a good start in avoiding a sophomore slump with his second album for EMI Nashville as he drops "High Class," the last song written for his forthcoming album, and lands the top spot on our Top 10 Most Added Country Songs chart for this week. Newcomer (to the national radio scene) Granger Smith kicks off his career with Wheelhouse (Broken Bow) Records with 59 stations on board the first week "Backroad Song" officially hit radio (it was tested earlier this year while Granger was still independent with Thirty Tigers. Sitting at #3 in his second week on this chart is Thomas Rhett with "Die A Happy Man." Dustin Lynch's third single from Where It's At, "Mind Reader," is at #4 with 58 stations on board so far. The first song tied at #5 is George Strait with "Cold Beer Conversation," the title track to his #2 charting album that just hit stores. The other song tied at #5 is Brad Paisley's latest single from Moonshine In The Trunk, "Country Nation." Considering it's the fourth single from a successful project, its' off to a fast and flying start, faster than a couple other singles from the album, actually. At #7 we find Zac NBrown Band's third single from Jekyll+Hyde, Beautiful Drug." The single has now hit 94 stations, the same amount of stations which have added the #8 song, Rascal Flatts' "I Like The Sound Of That" to their station playlists. At #9 is Kelsea Ballerini's Top 20 hit "Dibs." The song is a fast-rising hit for the rising star and it looks as if she may have hit the A list of country radio programming while the #10 (tied at #9, really) performer on this list this week certainly has, Sam Hunt with "Break Up In A Small Town." The fourth Gold-selling single from Montevallo is now on 102 stations.